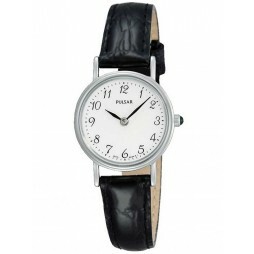 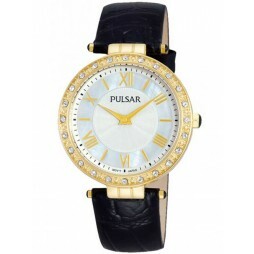 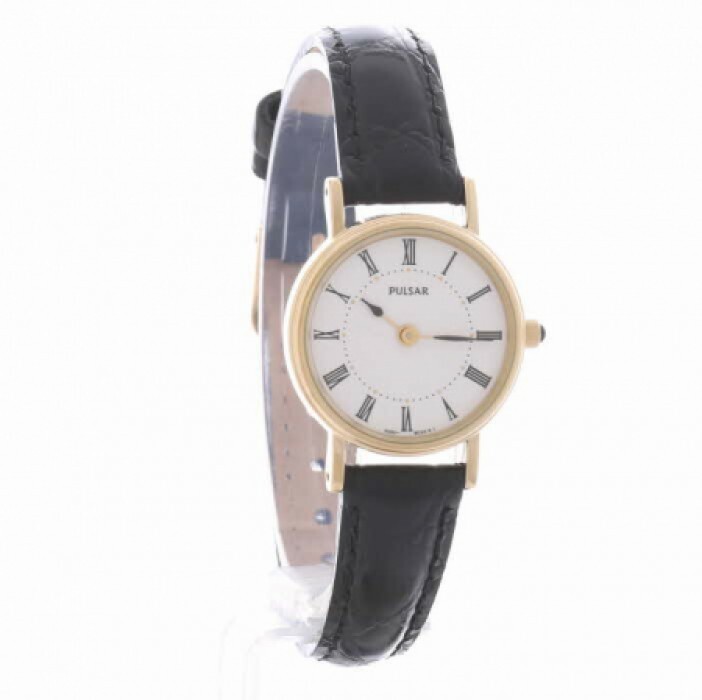 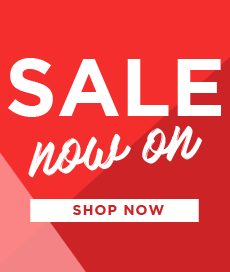 Give an outfit a classy finish and accessorise your wrist with this stylish ladies strap watch. 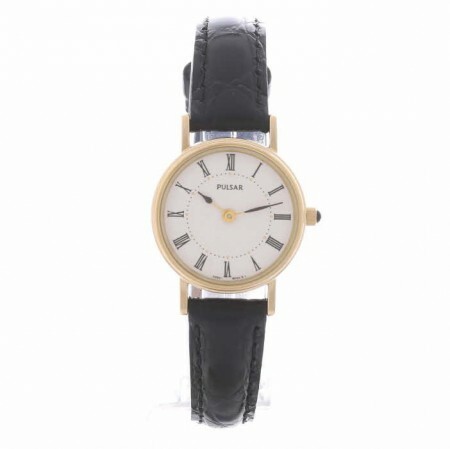 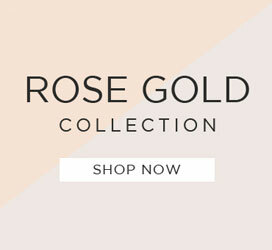 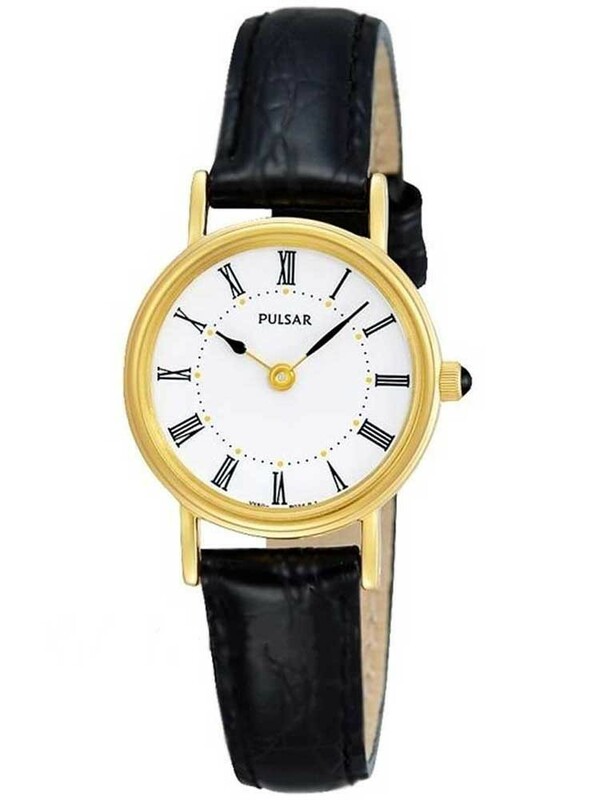 A comfortable black leather strap and traditional buckle hold the attractive gold plated case tightly to your wrist. 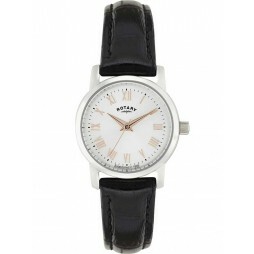 The round white dial has roman numerals and fancy hands to complete the look.